Eating a King Cake is probably the most delicious way to study history. 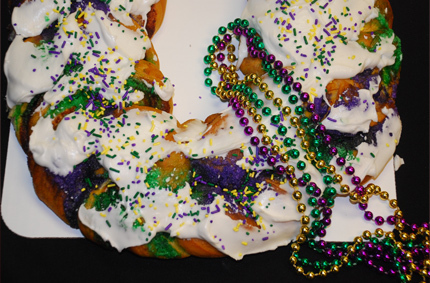 The first King Cake is said to have dated back to the 1870s. New Orleans and Mardi Gras are surrounded by unique history and traditions. 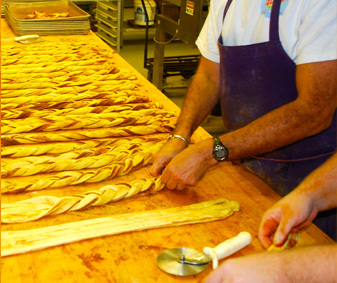 The King Cake is only a small "slice" of a tradition as unique as the city itself. What is a King Cake? 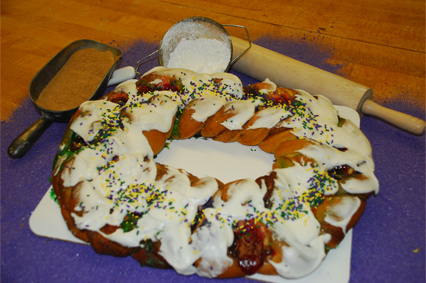 The king cake is a staple to one of the most famous New Orleans festivals—Mardi Gras. The Mardi Gras season begins on January 6 and continues until Ash Wednesday. During this time of merriment after the Christmas season, Christians celebrate and feast before the penance of Lent. 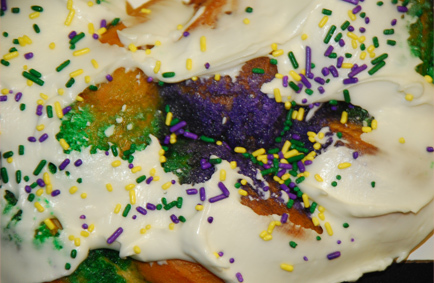 The king cake's history is representative of the feast of the Epiphany—the beginning of Carnival season. The feast of the Epiphany is also known as the Twelfth Night, or the Kings’ Day, and celebrates the three wise men bringing gifts to the baby Jesus. 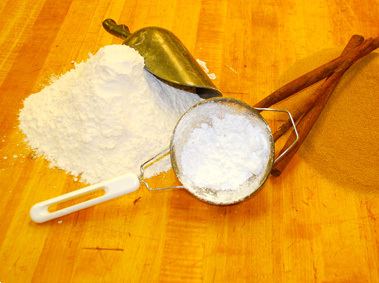 King cakes are baked in honor of these three kings, and have many unique traditions surrounding them. Today, people remember the three kings by having king cake parties during the Mardi Gras Season. These parties are not elaborate, but just feature a group of people coming together to eat cake. Most king cakes have a small plastic baby hidden inside them to represent the baby Jesus. Those eating the cake get to experience the excitement of “finding” the baby Jesus, just as the three kings did. 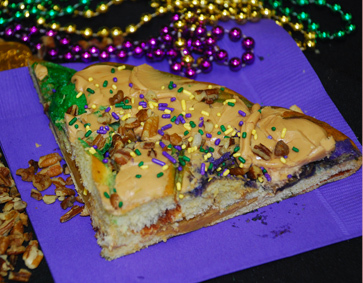 Tradition says that the person who finds the baby in his or her slice of cake is responsible for bringing the kingcake to the next party.